Just like organisations, annual HR cycles are all different. 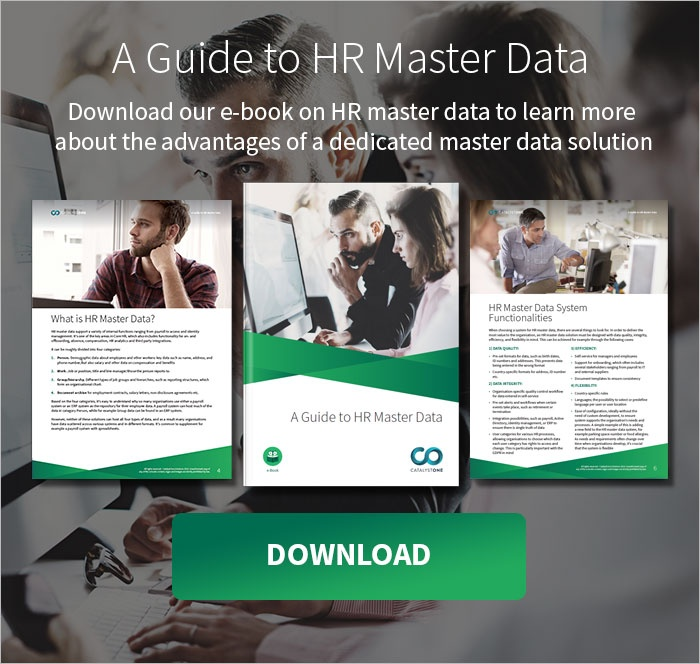 If you are the very first HR manager in your organisation, it’s likely that you’ll need to design and implement the processes. But where should you start? “The salary review and the appraisal are processes that every organisation usually already has in place, in one way or another. “Start with these,” recommends CatalystOne’s VP People & Culture Camilla Hydén Karlsson. When the essentials are in place, you can introduce other processes that support the organisation’s ambitions and needs. If appraisal has been the only regular follow-up of individual employees, it is recommended to consider a shift towards continuous performance follow-up. “Status reviews“, or “one-on-ones, or “check-ins”, it has many names, are important touchpoints between managers and employees, and the main purpose of these dialogues is to evaluate development goals and objectives that are currently active. “Since we live in a fast changing environment, the need to update both objectives and personal development activities are often needed to ensure high engagement and impact throughout the year. Other levels of follow-up are more informal coffee talks, and feedback from colleagues. To ensure your organisation has the skills you need tomorrow, you will also need a process for competence development. What development processes and offerings can the organisation provide and what should the employee take responsibility to initiate? Are you considering going digital? “You need to have your annual HR cycle in place first. Only then can you digitalise it,” says Camilla. The next chapter in our guide for new HR managers will focus on CULTURE. It’s already live, so hop right onto the next blog here. Did you miss out on the first chapter in this blog series? It covers “The Must Haves”, so go check it out – you will find it here.